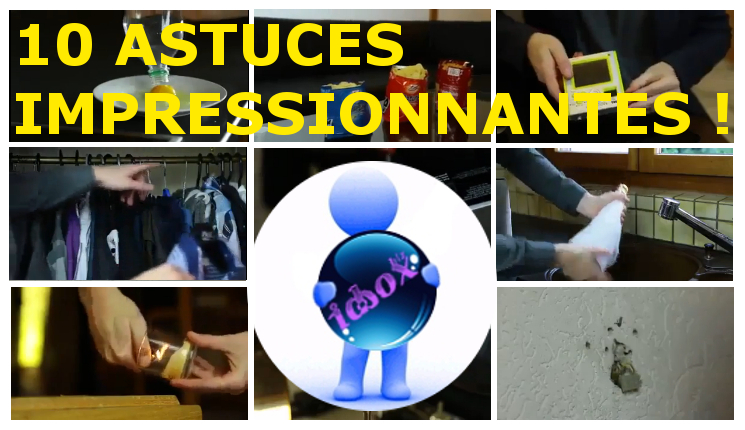 ID-Box offers you 10 amazing video tricks that will make your life easier.These tips are practical, easy and full of common sense. Everyone can achieve this tips at. These tips are proof that every problem has it’s solution. Just be SMART ! Check out these 10 tips one after another. And repeat them at home! 1. The Trick to Change your Chips package to a Bowl. 2. My tip or trick to refresh a drink quickly. 3. Reliable Tip to separate in 1 second the yolk from the egg’s white without breaking the yolk. 4. The tip for cap the holes of a White Wall. 5. Ideal Tip To Use a small battery instead of a large. 6. Great Tip to unscrew a worn screw. 7. How Hang Over Hangers In your dressing . 8. Tip To Fill A Water Bucket too big for the sink. 9. Practice Tip to light a candle without burning your fingers. 10. Amazing trick to make a free essential oil diffuser to scent the house. How do you find these tips ? Tell us please in comments.